Light is there, closer. On the other side memories fade away and it's hard to remind about that last official game lost vs Ukraine in Bucaramanga, September 2016, World Cup. It's a matter of few months: they will be back soon. A futsal nightmare started on July 4th, 2017 (see the report: click here), that black day when the Futsalroos staff and players got a letter announcing the cuts of the Australian Futsal National Team programs funding. A real shock for protagonists and fans, an unexpected wound coming from a big football federation. Hard to find out if and how saving the futsal team budget actually helped the FFA finances, but what really matters is that finally our sport is coming out from the darkness suffered during the 17/18 sport season. Good signals already came out from the recent AFF announcement regarding the Asean Futsal Champs 2019 draw (Ho Chi Minh City 21-27 October 2019) which included Australia in Group B along with Malaysia, Myanmar and Indonesia. The FFA press office, in declarations to Futsalplanet today confirmed (as anyway was supposed to be and announced at that time: "The FFA has promised to continue funding for the national team program from the 2018/19 season and beyond") that Australia will be back in action in 2019 with the futsal national team. "In 2019 it is our aim to have several camps for our senior men’s national Futsal team in preparation for the AFF Futsal Championship in October/November 2019. We will be sending a selection to that tournament and following that the 2020 AFC Futsal Championship where we will endeavour to qualify for the 2020 FIFA Futsal World Cup. Qualification for the 2020 FIFA Futsal World Cup will help to underpin further camp for the senior men’s side. 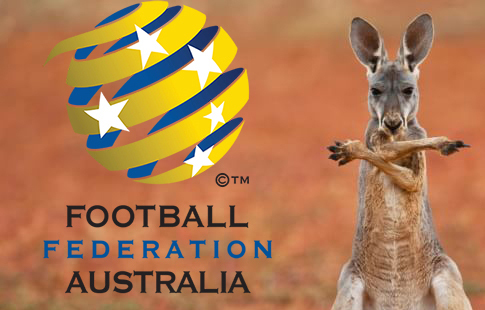 FFA also intend to arrange some friendlies prior to the AFF and AFC tournaments." In answer to our question regarding future inclusion of women or youth selections was reported that "in the short terms FFA won't be introducing additional Futsal teams.". This declaration then denies what reported from the Vietnamese media Viet Nam News which just two days ago announced the introduction of the AFF Futsal Championships Under 18 to be played (again in Vietnam) on next August 2019 including the participation of Australia. So, spend the last tears in November 2018 when the "Australian ghost" will miss the AFF Champs in Yogyakarta. Then, time to smile again and enjoy the best sport on earth. Welcome back, Futsalroos!